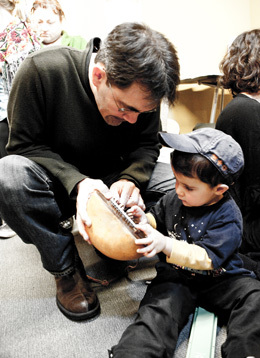 The Freight throws open its doors to music lovers of all ages for a jam-packed day of learning, listening, & playing during the fourth annual Family Open House. For a special treat, the November edition of our Saturday morning Patchwork Series of kids’ concerts kicks off the Open House with fabulous, fun, and free performances! On stage are the astounding Fratello Marionettes and the Bay Area’s beloved Trinidad-born musical storyteller, Asheba with Melita Doostan (of Octopretzel) and Rudy Trubitt (of the Sippy Cups) as hosts. 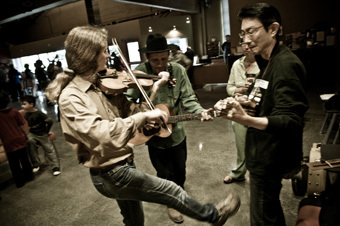 Also on the menu are an instrument petting zoo, hands-on crafty goodness from Sticky Art Labs, jams galore (bluegrass, blues, and celtic), and fabulous “sneak prevue” classes from the Freight’s great teachers (Fall II classes begin November 5). 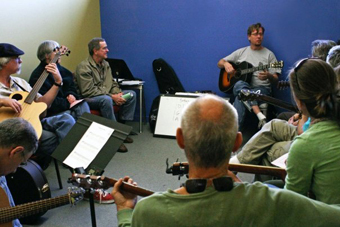 Get a taste of blues & rock guitar, songwriting, folk singing, and more. So grab your friends, grab your kids, grab your instruments and come on by. 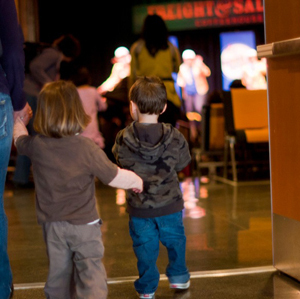 Kids at the Freight is supported in part through a generous grant from the Bill Graham Supporting Foundation of the Jewish Community Endowment Fund.